Eugene Thomas Scanlon, our father, was an Engineer who supervised the work of Enrollees at Bottomless Lakes, Roswell, New Mexico. 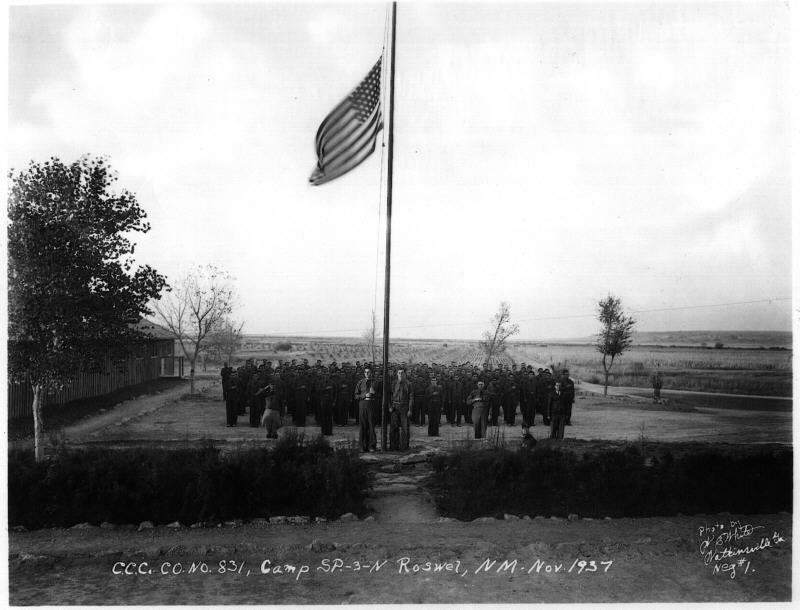 Company #831, Camp SP-3-NM. It was located east of Roswell about 8 miles and about 1 mile West of the Pecos River. 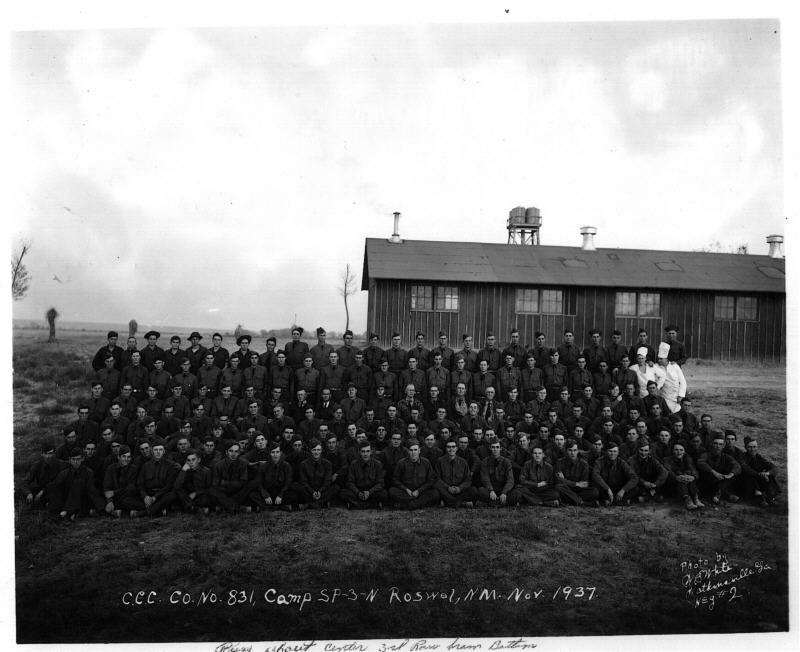 He was one of 4 staff engineers who directed the work of the CCC enrollees at the park area which was about 4 miles to the Park Area.The companies job was to make roads and paths throughout the Bottomless Lake State Park area. Also they built a bath house and flag stone walk ways out to the edge of one of the lakes. 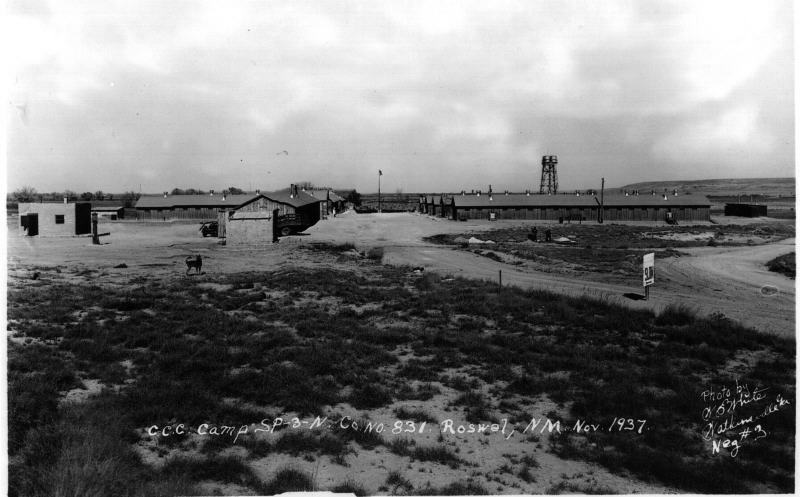 He later transferred to Rattlesnake Springs camp, at Carlsbad Caverns. He served there for at least four years. We lived outside the camp at the Circle K ranch. My brother and I made a trip to Carlsbad a couple of years ago. He was too young at the time we lived there to remember much, and I have to confess my recollections were skewed. Must have been my youth.